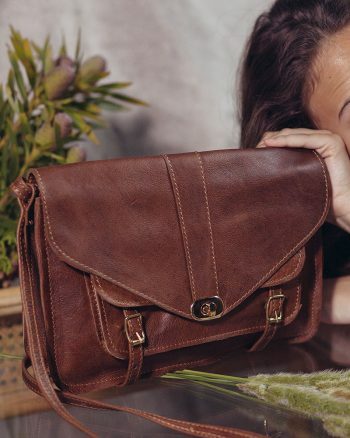 Continue shopping “Satchel Handbag Anna Tan” has been added to your basket. Continue shopping “Recycled plastic bottle Laptop Bag” has been added to your basket. Continue shopping “Recycled plastic bottle + leather Tote Bag” has been added to your basket. Continue shopping “Recycled plastic bottle Card Holder” has been added to your basket. Continue shopping “Recycled plastic bottle Sunglass Holder” has been added to your basket. Continue shopping “Recycled plastic bottle felt iPad Sleeve” has been added to your basket. Continue shopping “Recycled plastic bottle Tote Bag” has been added to your basket. Continue shopping “Recycled plastic bottle Travel Luggage Tag” has been added to your basket. Continue shopping “Recycled plastic bottle Passport Holder” has been added to your basket. 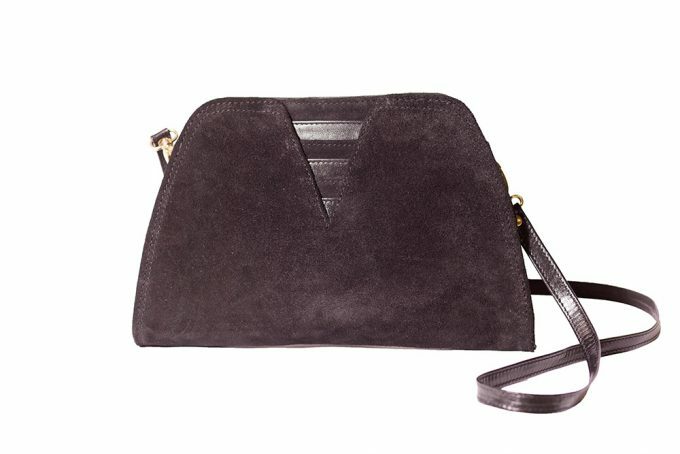 This 70s-inspired black suede clutch handbag with leather trim detail has a removable leather strap dressing it up for evening occasions. This 70s-inspired black suede clutch handbag with leather trim detail has a removable leather strap dressing it up for evening occasions. These pieces are luxury items made to be passed down generations. Made to order. Shipped within 2 weeks.